Ready to play with your data? I assure you that it is simple and funny at the same time. Learn how to effectively manage them. Let’s start by opening the example dataset auto.dta that we already used here. There are several useful commands to outline the data, the observations or a single variable. This command contains the description of the entire dataset, from variables to observations. Now, from the string variable make I created a new numerical variable, model, that is also useful if we want to declare data to be panel. This variable has now a different storage type that is long. This format, together with float, byte, double and int, is the typical storage form that identifies a number. Value labels are labels for coded variables. In this case “Origin” may be coded 0 for Domestic and 1 for foreign cars. Variable labels are instead a description of what the variable represent and are usually composed of a few words. When you create a table of contents you can either specify if you want your variables names or labels to be displayed. 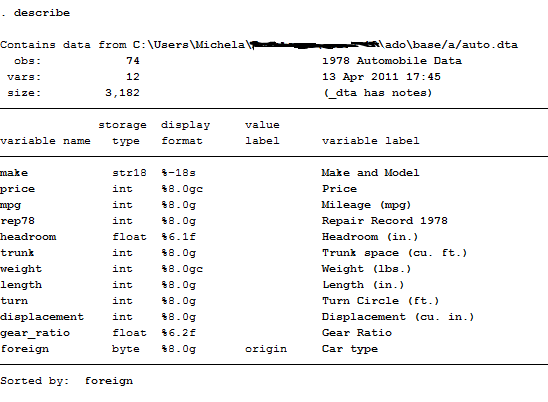 This command tells Stata to display car models divided by their domestic or foreign origin. The last descriptive command is summarize. 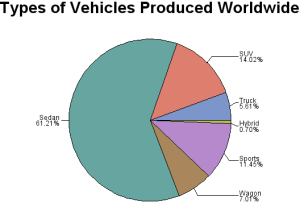 It provides a short resume of the variables’ statistics. We will extensively use it later on to construct Descriptive Statistics Tables. NB. 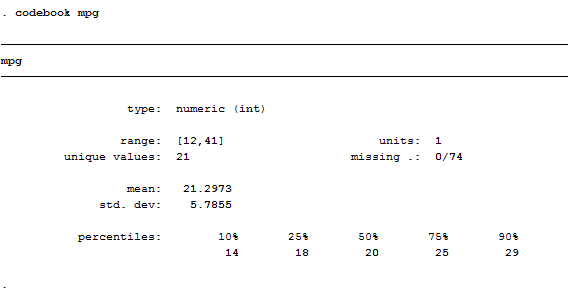 Stata recognizes a short version of its commands and imputes their output even if you do not write them in the long format (like sum, des, reg instead of summarize, describe, regress). Now, you have learnt how to observe every component of your dataset. Don’t you like a name of one variable? Time to change it! I suggest you to type help rename to see all the features available for this command if you have to perform other transformations. And, you will immediately see it in the Variables Window at the top right panel. Here we told the software to consider missing values and to code them appropriately. Remember, the golden rule of missing data is: “If data are missing for less than 5% of your observations, is not such a big deal.” I will show you in another post all the ways to construct a dummy variable, for now, take this ones as granted. And remember to always check if your variables have missing data. How? Choose the right command! 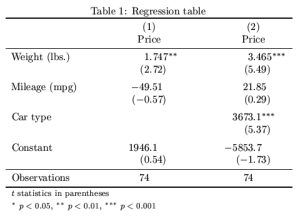 misstable summarize -> It gives an overview of missing values in the dataset. In our example, the variable rep78 contains missing values. Preliminary Tip: Once launched, these commands are irreversible! I suggest you to save a copy of the file you have in memory with a different name before using them in order to avoid overwriting. We can also decide that we want to get rid of outliers. How can we recognize if there is some in the distribution? Easy, just press tabulate, and you will see the table of frequencies of your variable. After you cleaned and transformed raw data in something that has a logical sense, you are ready to combine data. Curious? Jump to the next post!